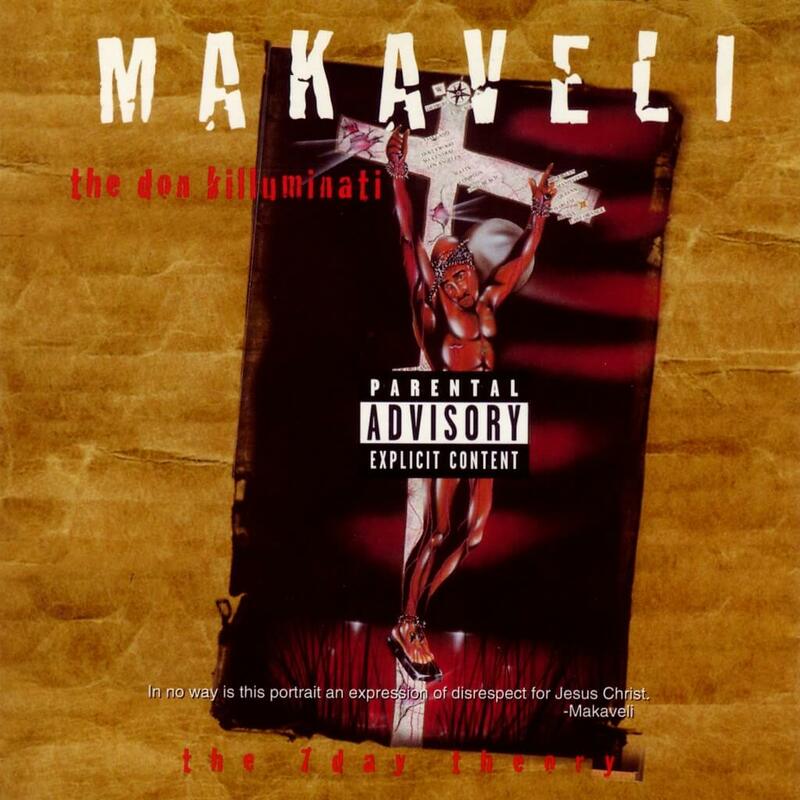 The Don Killuminati: The 7 Day Theory (commonly shortened to The 7 Day Theory or Don Killuminati and sometimes called Makaveli) is the fifth studio album by Tupac Shakur. Released under his new stage name Makaveli, it was his first studio album to be posthumously released. The album was completely finished in a total of seven days during the first week of August 1996. The lyrics were written and recorded in only three days and mixing took an additional four days. These are among the very last songs 2Pac recorded before his fatal shooting on September 7, 1996. The album was originally due for release in March 1997, but due to his death, Suge Knight released it four months earlier. Though 2Pac had been using the new name Makaveli or Makaveli Tha Don as far back as All Eyez On Me, the Makaveli album was conceived as a sort of introduction for Shakur’s alternate stage name. Thus, the album’s sleeve contains the text, “Exit 2Pac, Enter Makaveli”. Before his death, 2Pac wanted to start his own record label, which he envisioned as Makaveli Records. 2Pac fulfilled his three-album obligation to Death Row quickly in order to move on from Death Row Records and start Makaveli Records. According to personal bodyguard Frank Alexander, 2Pac didn’t like Death Row. Artists slated to be on Makaveli Records included not only himself, but the rest of The Outlawz, as well as Storm, Bad Azz, One Nation, Bobby Brown and Greg Nice among others. While All Eyez on Me was considered by Shakur “a celebration of life”, The Don Killuminati: The 7 Day Theory is a much darker album. Shakur’s style of rapping is still emotional, but is intensified throughout this album. Some songs on the album contain both subtle and direct insults to Shakur’s rivals at the height of the East Coast–West Coast feud. Rappers insulted on the album includeThe Notorious B.I.G., Puff Daddy, Jay-Z, Mobb Deep, Q-Tip, De La Soul, Dr. Dre & Nas.